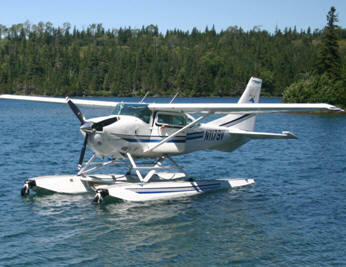 December 20, 2012 - New Mexico Energy, Minerals, and Natural Resources Department had proposed adding a new section (proposed rule amendments) prohibiting the taxiing, landing, or takeoff of seaplanes or floatplanes in state parks. The division received hundreds of comments opposing the implementation of this rule. Based upon hundreds of written comments received, opposing the proposed rule on seaplanes and floatplanes and given that the Bureau of Reclamation and United States Army Corps of Engineers already have regulations addressing seaplanes and floatplanes, the division did not adopt the proposed rule. The amended rules are scheduled to be published in Issue Number 24 of the New Mexico Register, on December 31, 2012, and become effective January 1, 2013. The majority of the comments were in support of allowing the possession of concealed carry handguns in state parks. The proposed changes to 19.5.1 NMAC include, among others, the addition or amendment of definitions for off-highway motor vehicle, other power driven mobility device, vehicle, and wheelchair. Proposed changes to 19.5.2 NMAC include, among others, use of off-highway motor vehicles and golf cars by those with mobility disabilities, use of firearms and bows, and prohibitions on littering; as well as addition of new rules for, among others, rock collecting, and seaplanes and floatplanes. A Number of pilot associations worked together in which formal comments opposing the ban of the taxiing, landing, or takeoff of seaplanes or floatplanes were submitted. Active associations included such as AOPA, Experimental Aircraft Association (EAA), Seaplane Pilots Association, New Mexico Pilots Association, Recreational Aviation Foundation and others. The amended rules are scheduled to be published in Issue Number 24 of the New Mexico Register, on December 31, 2012, and become effective January 1, 2013. In accordance with the State Rules Act, New Mexico state agencies must publish in the New Mexico Register all Notices of Rulemaking and all Adopted Rules, including emergency rules, filed with the Commission of Public Records - State Records Center and Archives. Agencies may publish proposed rules and other materials related to administrative law at their discretion (to view the amended rules).